Tanglewood Soaps are described as being “the healthiest lovely soaps.” They have no toxic chemicals, artificial fragrances or colours and preservatives. Made with high quality organic carrier oils, therapeutic organic essential oils, organic herbs, plants and food grade lye, each soap is handcrafted with a specific purpose in mind. 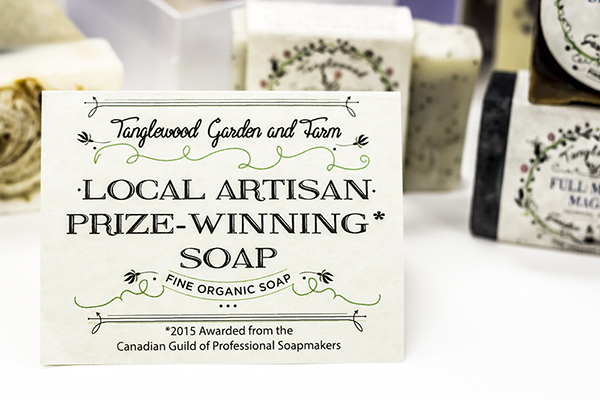 In 2015 these soaps were awarded the Local Artisan Prize by the Canadian Guild of Professional Soapmakers. To top it off, they are handcrafted right here in Alberta. Align yourself physically, emotionally, mentally and spiritually with beautiful chakra soaps, or choose an elemental gemstone blend to harmonize the five sacred elements within you. 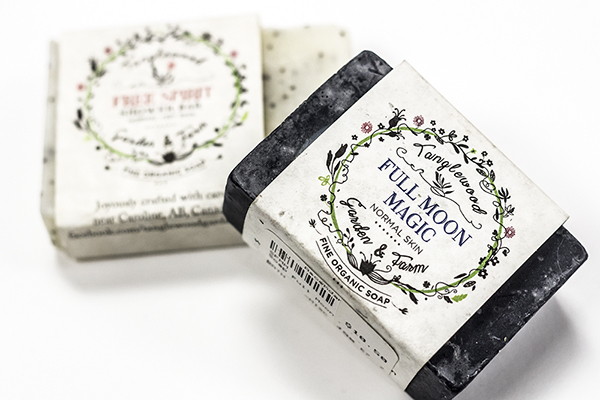 Each soap is purposeful in a specific way and is made with wild Alberta comfrey and nettle. Try Luck of the Feather soap which has a beautiful feather set on top of soap infused with oils of sweet orange, pine, cinnamon and nutmeg. You can also choose from many blended combinations such as Full Moon Magic or Free Spirit. Each bar is unique and skillfully handcrafted. Create your intention with the beauty and purity of these wonderful soaps.